Above is a classic film noir reduced to four icons, but which one? The answer is revealed below, but if you want to guess, stop reading now. The film represented above by four icons has so many iconic elements that it made it an easy choice for me. The first two icons are deliberately obscure, but the next two should be more easily identifiable since they are based on the stars of the film. 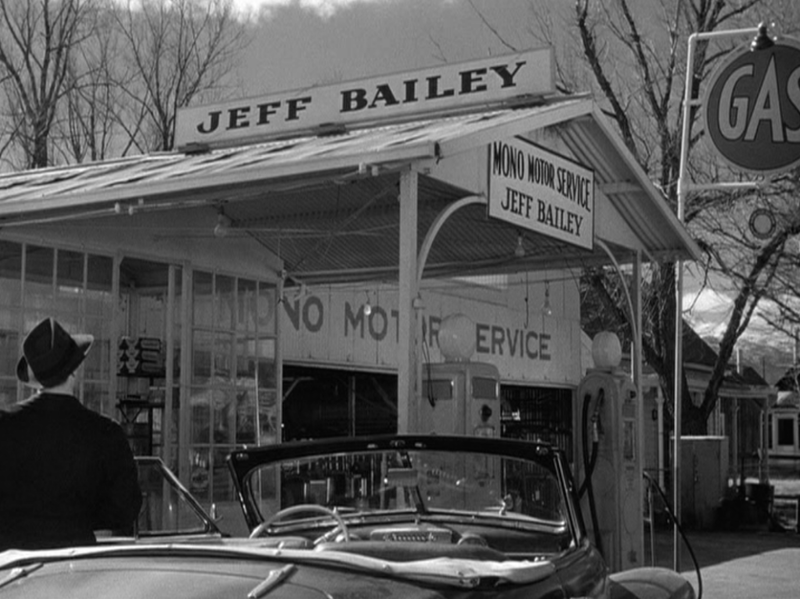 The first icon refers to the gas station of a small resort town (Bridgeport, California) where the hero (Jeff Bailey), a former private detective, is now making a new life. It was made in PowerPoint, as were all the icons, using a couple of basic shapes – a circle and a crescent to suggest 2D. The word ‘GAS’ was position so that the ‘S’ brakes the edge of the circle, creating a much more intersting icon. The second icon refers to the $40,000 that the femme fatale in the story has taken from the gangster who wants her back. It was made using clip art hands and a dollar sign. The next two icons are based on the stars of the film. 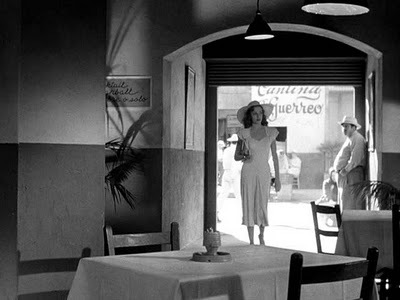 The third icon represents the character Kathie Moffett played by Jane Greer the moment she enters a cantina in Acapulco, Mexico and is seen by Jeff Bailey. The film still was imported into Paint and painted over to create a silhouette framed under the doorway. A simple rounded rectangle was placed around the image with a repeating line of different thicknesses. 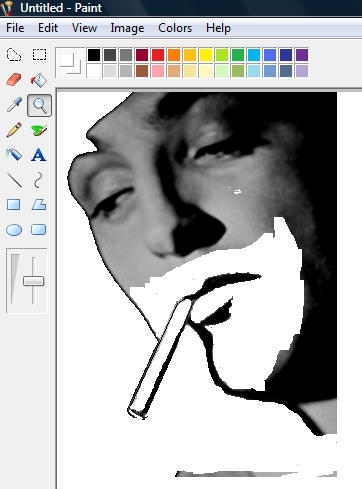 The final icon is another one painted from a film still of Jeff Bailey (Robert Mitchum). The painted image just looked right in a triangle (an incomplete triangle balanced better) – as if protruding from the top of a martini glass – four icons, four different basic shapes, one great story, that ends badly, of course. This entry was posted in Assignments, Design, Unit6 and tagged film noir, icons, out of the past. Bookmark the permalink.